Frontier Tank Lines provides Diesel Fuel, along with Diesel Exhaust Fuel (DEF) to our wide customer base, which includes Dallas/Ft. Worth, San Antonio, El Paso, Amarillo, Midland/Odessa, Albuquerque, Gallup, Moriarty, and Oklahoma City, as well as markets throughout Texas, New Mexico, & Oklahoma. Even in the event of an emergency, Frontier Tank Lines Emergency Fuel Service can get you the Diesel you need. Our talented pool of dedicated drivers command our ever-growing fleet tanks and vehicles can fulfill and deliver Diesel anywhere in our Service Area. The service-oriented support staff at Frontier Tank Lines lends its experience and know-how to get the job done, making sure your Diesel Fuels needs are always met. 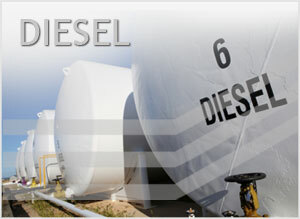 Diesel and Diesel Exhaust Fluid (DEF) are 2 of the fuels we provide along with our expansive list of services, including: Emergency Fuel Service, Fleet Fueling, Inventory Management, Tanks, Transportation, and 24Hr On Call Dispatch Teams. contact us at (800) 291-7876.